Apparently this summer is all about getting in touch with my 9-year old, bookworm self who would spend every summer day spent in the refreshing air conditioned sanctuary that was my Grandma's local library, and my summer evenings staying up wayy past my bedtime with the box fan humming in the background as I raced through another Dear America, or Magic Attic Club book. I have been reading up a storm the last month or so and am actually on track to finish my book challenges, so what could it hurt to commit myself to one more?! 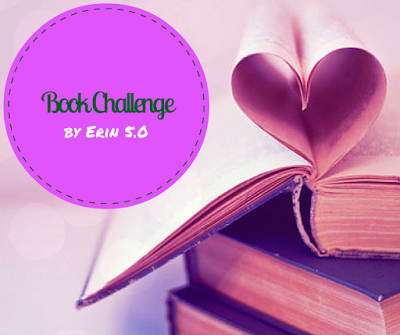 If I haven't mentioned it before, I looove Erin's book challenges. She hosts them through Facebook so they're very interactive, discussion-based and just a heck of a lot of fun. You don't need to be a blogger to participate, so this challenge, I actually invited my sister-in-law to play along and it's pretty much all we can talk about. July 1st can't come soon enough! I did cheat a little bit and picked a few books that overlapped with the Semi-Charmed Book Challenge categories, but either way, I've got a pile of library books sitting on my bookshelf (and Kindle because I can now borrow library books through Ohio's Digital Library- say whaaat?!) waiting to be read. This may be the first time I finish a book challenge- wish me luck!